Celebrate Black History 2019 in Pasadena by attending the parade and other special events, lectures and activities beginning Saturday, January 12, through Sunday, March 17, 2019. The City and volunteer Black History Parade & Festival Planning Committee will present a full schedule of events in celebration of the achievements by black Americans and in recognition of African-Americans in U.S. History. 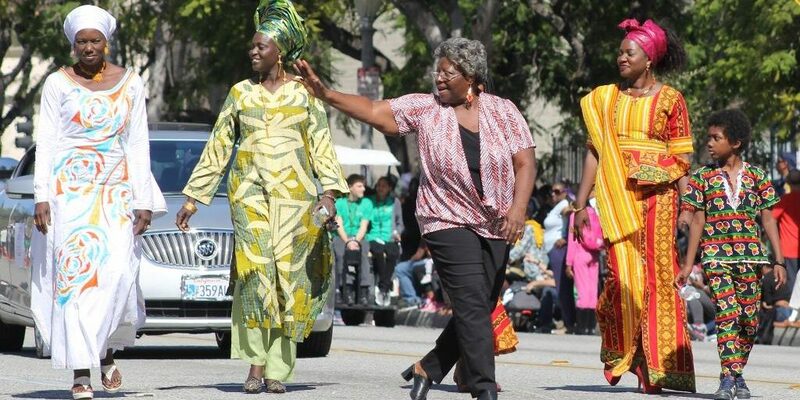 Pasadena’s Black History Month Parade is one of the largest in the U.S. Pasadena media, www.pasadenamedia.tv, will record the parade in its entirety for broadcast on KPAS, the City’s government TV station. A list of the events follows. All events are free unless otherwise noted. McKinley Elementary School 8:30 AM, 325 Oak Knoll Ave.
Robinson Park Recreation Center, 10:00 AM, 1081 N. Fair Oaks Ave.
Pasadena Central Library, Humanities Wing, 285 E. Walnut St.
Westerbeck Hall at Pasadena City College, 5:00 PM, 1570 E. Colorado Blvd. Jackie Robinson Community Center, 3:00 PM, 1020 N. Fair Oaks Ave.
Ends at Robinson Park Recreation Center, 10:00 AM, 1081 N. Fair Oaks Ave.
Hotel Constance Pasadena, 2:00 PM., 928 E. Colorado Blvd. Pasadena Senior Center, 7:30 AM, 85 E. Holly St.
La Pintoresca Library, 4:00 PM., 1355 Raymond Ave.
Jackie Robinson Community Center, 2:00 PM, 1020 N. Fair Oaks Ave.
Jackie Robinson Community Center, 6:00 PM, 1020 N. Fair Oaks Ave.
Jackie Robinson Community Center, 3:00 PM., 1020 N. Fair Oaks Ave.
Metropolitan Baptist Church, 3:00 PM., 2283 N. Fair Oaks Ave. Thank you for your interest in becoming part of the 37th Annual Black History Parade and Festival. Pasadena is proud to host one of the largest Black History Month parades in the U.S.A., set for 10 a.m. – 4 p.m., February 16, 2019. Please call (626) 744-7300 for information about the honors Gala, sponsorship opportunities, vendor booths, and parade entries.